On 9-10 February 2017, Professor Dale Stephens (Director RUMLAE) was invited to attend a symposium collectively hosted in Newport, Rhode Island by the U.S. 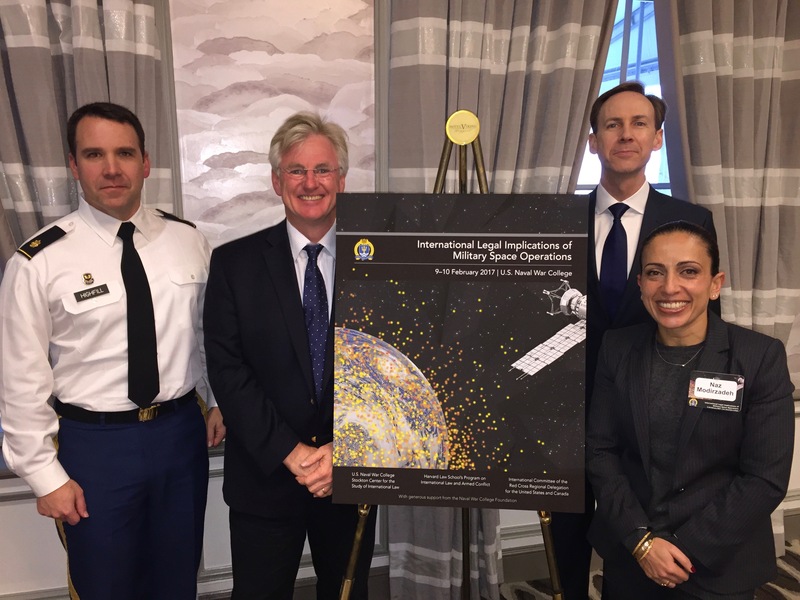 Naval War College, Harvard Law School (Program on International Law and Armed Conflict) and the International Committee of the Red Cross (ICRC), on the topic of ‘International Legal Implications of Military Space Operations’. The Symposium organizers invited speakers from Academic and Non- Government Organizations as well as from State Governments. Issues dealt with during the two days included an analysis of the Space Environment, the Jus ad Bellum Concerning Outer Space, the Jus in Bello Concerning Outer Space, Neutrality in Outer Space and an examination of the Interplay between International Humanitarian Law and the Outer Space Treaty regimes in assessing applicable legal and normative frameworks. Professor Stephens addressed this last topic in his paper and outlined a methodological framework that draws heavily on recent International Law Commission reports as to the impact of Armed Conflict on Treaty Interpretation, as well as the significance of subsequent state practice under the Vienna Convention on the Law of Treaties, to locate a durable interpretative methodology. During the event, Dr Lewis Duncan the Provost of the U.S. 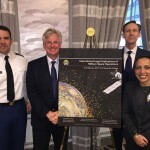 Naval War College provided a powerful dinner address on the nature of the space environment, current technological developments and the policy issues that need to be navigated to achieve a level of co-operation in future international space activity. The symposium included speakers and observers from the Secure World Foundation, Georgetown Law School, the University of Exeter, Yale University, the ICRC, George Washington University, University of Tartu (Estonia), St Johns University, the University of Nebraska, the US State Dept, the Canadian National Defence Force, the Royal Air Force, the US Air Force and the US Navy. The event was reported in the US Naval War College blog series here: https://www.usnwc.edu/About/News/February-2017/Legal,-military-issues-in-space-are-focus-of-NWC-f.aspx where Professor Stephens and Major Chad Highfill (US Army) were interviewed extensively as to the significance of the event. Adelaide University Law School and McGill University (Montreal) are spearheading an international effort to draft a Manual on International Law Applicable to Military Uses of Outer Space (MILAMOS) and this event provided a very useful theoretical analysis of law that will inform future work on the MILAMOS project. This entry was posted in Commerce, Innovation & Technology, Events, International Affairs, News, Research and tagged Professor Dale Stephens, Research Unit on Military Law and Ethics (RUMLAE), Seminars, Symposium on International Legal implications of Military Space Operations. Bookmark the permalink.